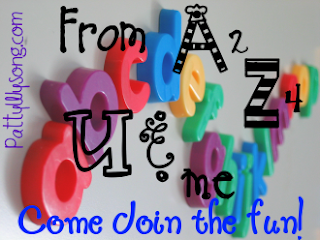 To join in the bloggy, meme fun, click here to see what it’s all about! D stands for Drew, Nancy Drew. 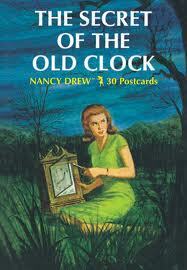 One of my quirks in the world of mystery books is Nancy Drew. Familiar yellow and blue hardback books with mysteries in the pages, summed up in a mere twenty-four chapters. These were some of the first mystery books I ever laid eyes and hands on as a child. I remember reading book #2, The Hidden Staircase, as my first mystery book ever (I was obviously hooked from page one!) and the Clue of The Tapping Heels (#16) and The Ghost of Blackwood Hall (#25) as my respective favorites. Nancy Drew led me to Hardy Boys, to Sherlock Holmes to Agatha Christie and then the Mary Russell books, the O’Malley Series and onwards. It’s kind of a chain reaction really and there’s something about the old-fashioned goodness of a Nancy Drew mystery that just makes me want to write better (to be as timeless as Nancy herself, ^_^) and read forever. Anything Nancy Drew is bound to catch my attention in one way or another-LOL. It is my one obsession I will gladly confess to, because hey, it’s Nancy, seriously–how could you not like her?